Fierce exterior design with blue LED makes this M901 looks astonishing. It’s having perfectly smooth edges which has no harm. 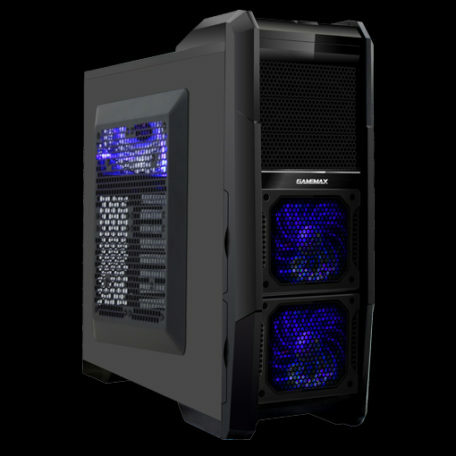 The combination of its charismatic looks, plentiful expansion options and functionality make Gamemax M901 explicit choice for users. It’s smashing side window makes gamers fall for it. It has multiple side cooling system with manual fan ON/OFF switch, improves air cooling. It also has easy cable management. This case is incomparably stylish. The front has 2 *120mm intake fans, 1 gigantic fan of 200mm which can see through the side window. It also has 2 fans of 120mm on the top and 1 each at the rear, bottom and HDD of 120mm. For the convenience of gamers, it has 2 high speed USB of 3.0, 2 USB of 2.0 and HD-Audio ports are on the top panel. M901 has multiple 3 channel fan controller system “LOW/STOP/HIGH” and fan LED lighting “ON/OFF” switch. 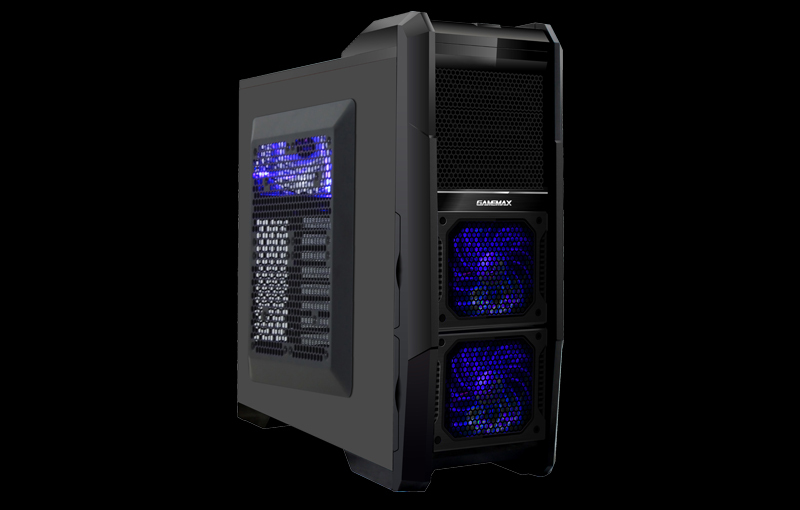 This case has 3 HDD bays of 5.25” and 8 expansion slots of 3.5” which forms monstrous cabinet. It also has EMI anti-magnetism design. Gamemax M901 supports standard ATX switch power supply and can be extended up to 420mm graphic card. Its spacious design compatible for all ATX/m-ATX/ITX. Meshed bay covers help dust prevention. Dust filters are purposefully built at the front and bottom. Bottom and front filters can be removed easily. Side panel looks monumental and has a smart finish which can support 200mm cooling fan.